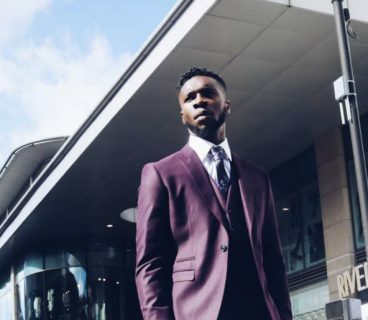 When it comes to your wedding or debs suit, there is one store that’s pulling out all the stops to ensure you’re well matched. Dorian Black has been providing the public with quality suits since they were re-branded 6 years ago. Originally known as Suit and Tux warehouse, a move to the wedding market changed the direction of the brand with the first major change being its name. 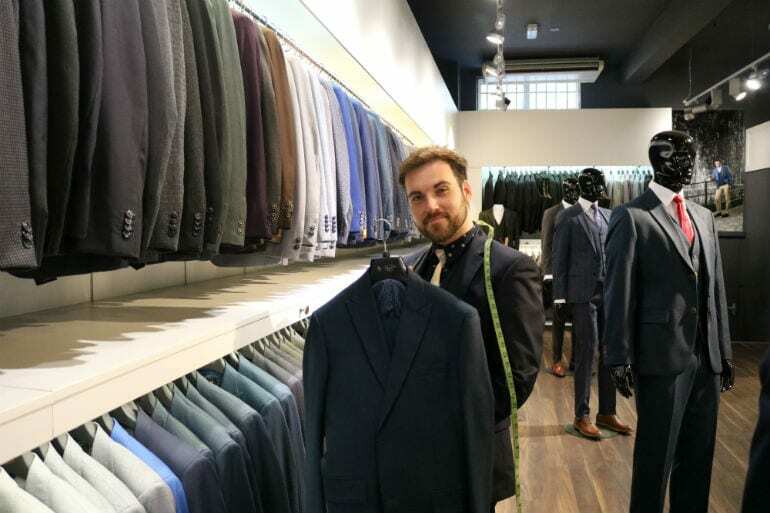 DublinTown chatted to Thomas O’Keeffe the Store Manager and Wedding Co-Ordinator of the South Anne Lane branch who was eager to talk to us about the variety of suits and looks they offer within their ever-expanding range. We also discussed the company’s latest endeavor, their sister brand Celtic Tweed. 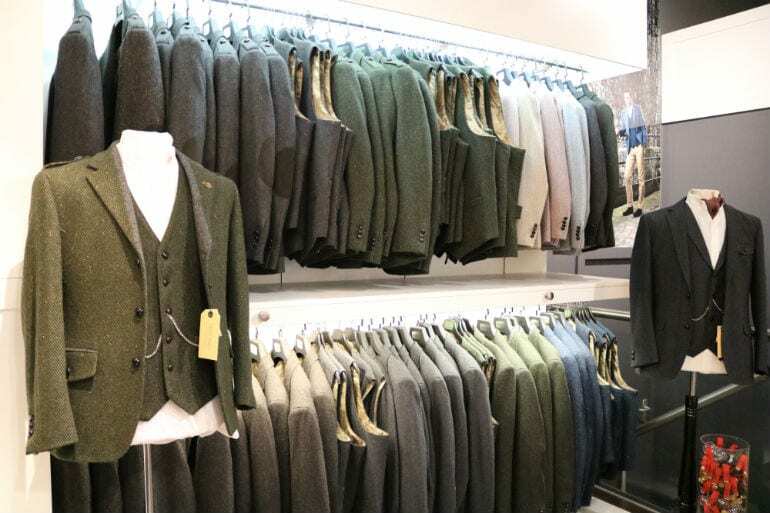 The wow factor for the store is the large suit wall that greets you when you walk in. You see the full color spectrum offered and can walk around at ease with the minimalist design. It’s simple and clean, and easier to find what you’re looking for. 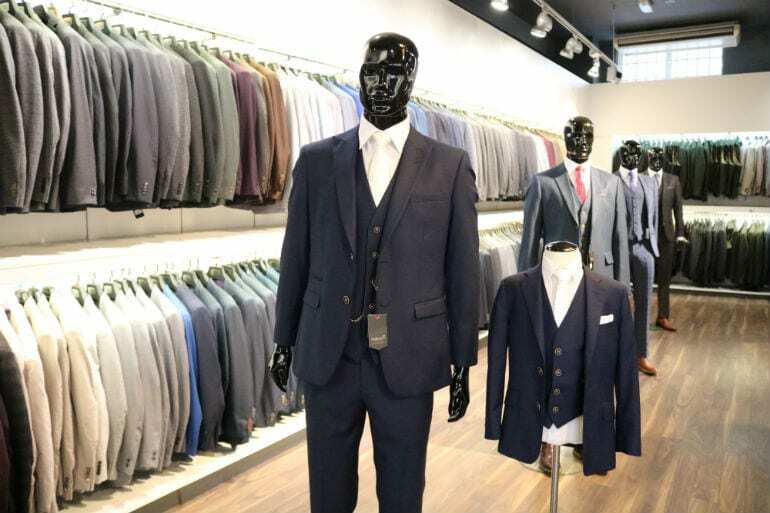 All the suiting cloths, design, colour, linings are done by our own designers in-house and wont be seen in any other shop The three-piece suit has made a comeback with the majority of suits being bought as a three piece. 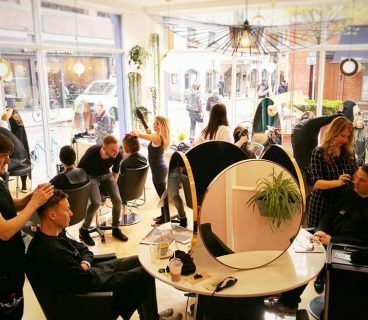 But if this is not what you’re in to, you can mix and match, a feature the store prides itself on. You can go with a completely different look from top to bottom, the option is there. There is nothing better to complete a suit than a tie or bow-tie and Dorian Black has its fair share of unusual or standard colour block ties and bow-ties. They also have a range of shoes to really finish your suit making it a one-stop-shop for your suit needs. The Celtic Tweed collection is crafted in hard wearing wool cloth and can be worn together or separately with chinos or jeans making it a versatile brand. So far it’s been a hit with a number of grooms-to-be who want to give a nod to their Irish roots. The team in Dorian Black are a wealth of knowledge when it comes to suits and current trends. If your unsure of what suits, just let them offer advice and you won’t be disappointed with the results. 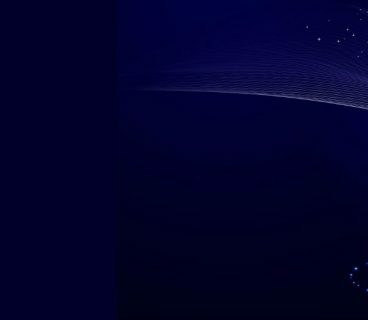 Dress to impress for Christmas and New Year’s Eve!